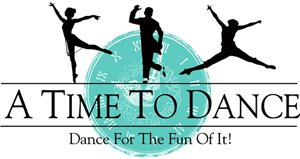 We are a local dance studio in Montrose, Colorado. Our growing studio encourages teamwork, creativity, and friendship. Our goal is that all the students at A Time To Dance feel welcome, happy, and ready to learn. We hope that our students create long-lasting memories in our classes and recitals. 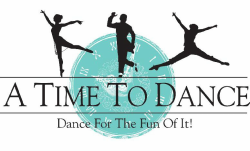 A Time To Dance in Montrose, Colorado is a growing studio under the direction of Catherine Frates. Catherine has been dancing since she was three years old. She grew up in North Carolina and danced in a studio that was owned by her grandmother for more than 50 years. Equally as important, as a parent of two dancing daughters, Catherine is well aware of the multi-dimensional nature of the environment and relationships surrounding a high-quality dance studio. Knowing the experiences her students will have can often create life-long memories, Catherine invests herself in each and every student she welcomes into A Time To Dance studio.